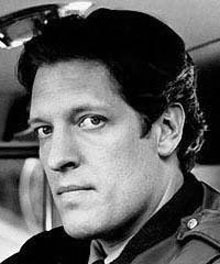 Clancy Brown has appeared in The Adventures of Buckaroo Banzai, The Shawshank Redemption, Starship Troopers, and the original Highlander. On HBO's Carnivale, he plays a small-town preacher plagued by disturbing dreams and visions. He has done voice work in countless commercials and video games, and provides the voice for Mr. Eugene H. Krabs on SpongeBob SquarePants, and Lex Luthor in Superman cartoons. Brown starred in a dramatic series for TNT called Breaking News, set behind-the-scenes of a 24-hour cable news station, with plotlines revolving around real-worldish events -- anti-HMO protests, hate crimes, and a pre-9/11 episode involving a thinly-fictionalized character based on Osama bin Laden. But when Time-Warner took over the network, the debut of Breaking News was postponed repeatedly, and it was finally cancelled without ever airing. More than a year after the show was cancelled, it finally aired on Bravo in the summer of 2002. Brown's grandfather and father both represented Ohio as U.S. Congressmen. His brother Roy ran for the same seat in 2002, and lost. It always helps a politician to have access to media, and the Brown family owns Brown Publishing, which prints several suburban weekly and small daily papers across Ohio. When Roy Brown ran for Congress, his opponent complained to the Federal Elections Commission that 66 of 70 stories on the race that appeared in Brown's newspapers were slanted toward Brown's benefit. Roy Brown is the President of Brown Publishing. Clancy Brown is the CEO, but disclaims any interest in political office.